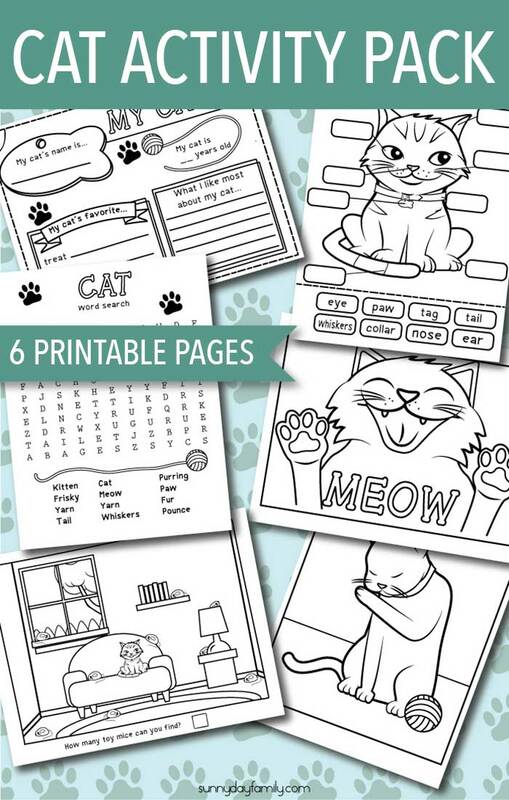 A printable cat activity pack filled with activities, coloring pages, and more! My son is cat crazy. We may have two dogs but it is our cat who really has his heart. So his first question when I showed him our dog activity pack was, "can we have one for cats too?" I was happy to oblige and this cat activity pack has been an even bigger hit! I love giving my kids fun activities based around their favorite things, so having games and coloring pages about our pets is a no brainer. 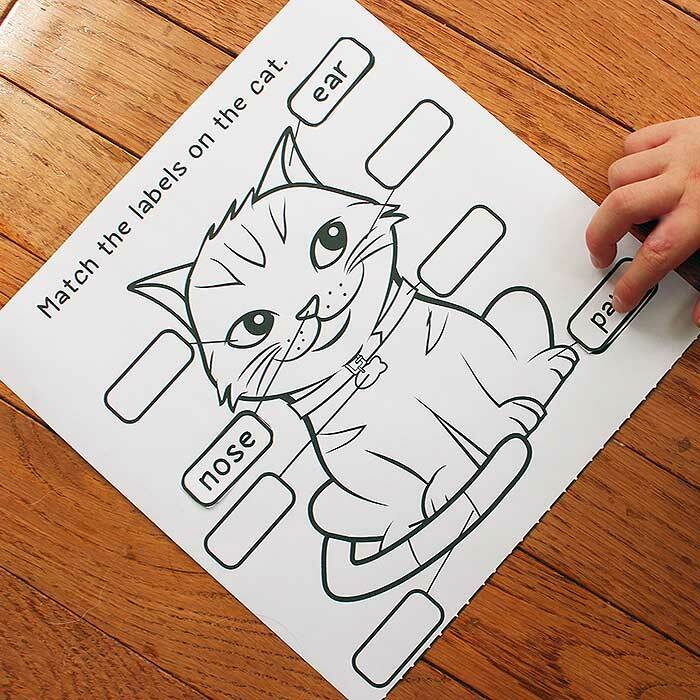 This cat activity pack is the perfect printable set for cat lovers, with lots of fun activities they will love! This cat activity pack has 6 total pages. There is an "all about my cat" page for your kids to write fun facts about their cats, a cat word search, a toy mouse themed seek and find, and two cat coloring pages. There is also a really fun "label the cat" game that my kids love! The cat activity pack is perfect for home or school, and makes a great addition to a preschool pets theme or a pet themed birthday party. It also makes a great activity for you to use when you are thinking of adopting a cat! 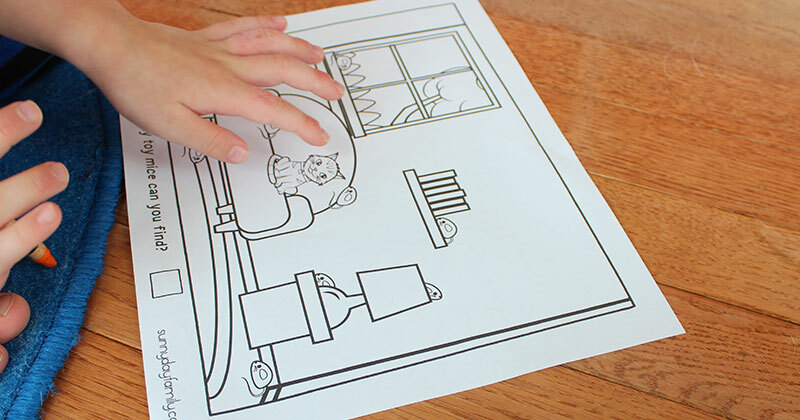 You can get the cat activity pack for only .99 by clicking on the button below! See all our pet themed activities, crafts, and more here!